Nine TAC athletes were in action. 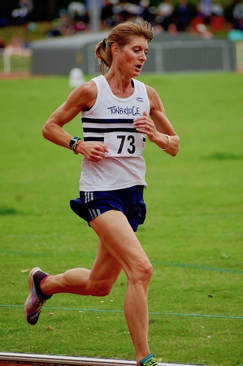 Polly Pitcairn-Knowles ran 19.36 and was 3rd female (17th overall). This is a pb for Polly. Results are on the Results 2018 page. ​Another good week of TAC performances and here are some of the biggest improvements. Apologies to some of the veterans as its almost impossible to monitor their pbs etc as a few would go back a little bit in time ! I have spent Bank holiday Monday catching up with the wealth of TAC performances over the past few days. It hasn't just been about the distance runners either, as decathletes, throwers and sprinters have also performed well. Its great to see the diversity of performances at the club and just hope a few people take the time to recognise what some athletes are doing. There are quite a few TAC runners who were in action today in London. A summary is on the Results 2018 page. Corey De'Ath (30.58) and Ben Cole (31.01) led the way. Matt Dennis (35.43) and Adam Roeder 39.27) set significant pbs. The TAC team finished 6th of th six clubs, according to the provisional results. The team total was 439.5 with two other teams on 440.0 ! Sam Crick won the 400m in a pb of 51.73 before winning the 800m in 1.59.93 and the 2000m steeplechase in 6.44.55. He then ran a 4x400m relay leg in 53.2. All this after only deciding to compete after an easy 10 mile run in the morning ! TAC had a few representatives in the Westminster Road Miles, where the top races were for British Championships. 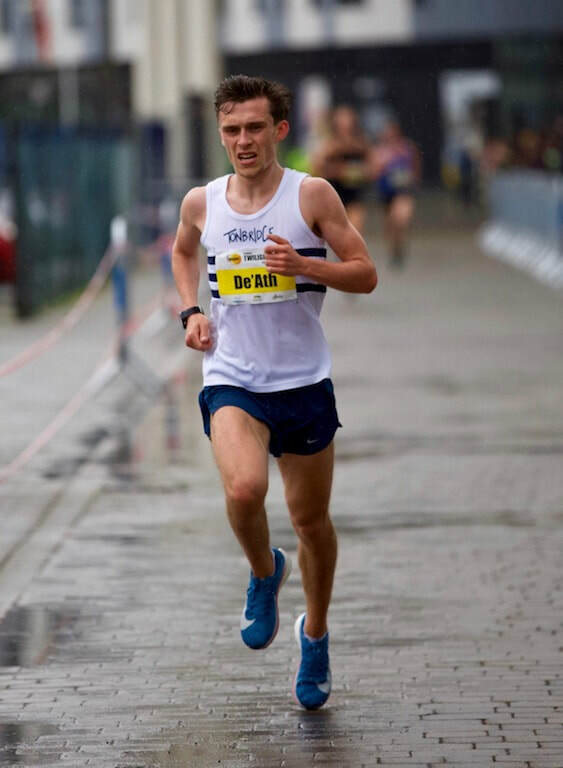 Sean Molloy had a superb race in the mens mile, running 4.08 and finishing 9th, in a race full of about twenty internationals. Charlotte Richardson reduced her 5000m pb to 19.34.96 despite the hot and windy conditions. Kieran, Nicole and Lucy were inside the British Championships qualifying time, whilst Ryan already has it for the steeplechase. James West suffered in an extremely messy 1500m and was eliminated after getting pushed, shoved and someone falling over in front. Despite a protest James missed the next round by .07s. ​Alex Howard was also eliminated at round 1 stage in the 3000m steeplechase. 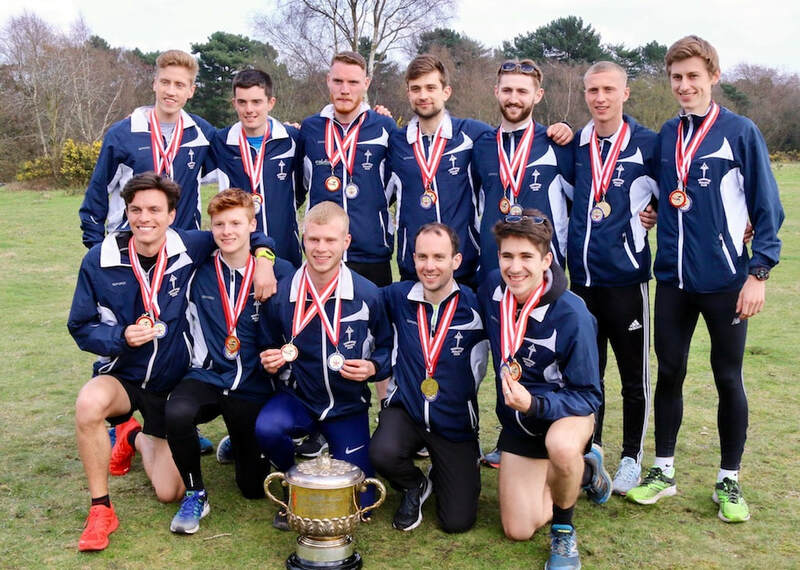 TAC mens team of Dan Bradley, Jamie Bryant and Julian Rendall won the race over 3x2.6 miles, by just eight seconds, from Kent AC. 119 teams competed, with prizes for men, women and a mixed team. Jamie Bryant ran 13.09 to record the second fastest lap of the day (fastest Pete Chambers of croydon at 12.48). Harry Paton had a cracking run with the third fastest overall at 13.11, running for the TAC mixed team and Alice Wood was the second fastest overall female with 16.04. Full results and a TAC summary are on the Results 2018 page. 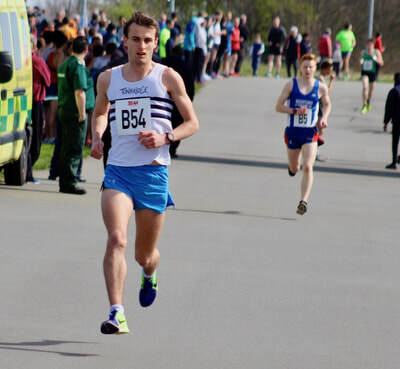 Cameron Payas ran a pb of 3.57.28 over 1500m, when finishing 3rd in the BMC A race. 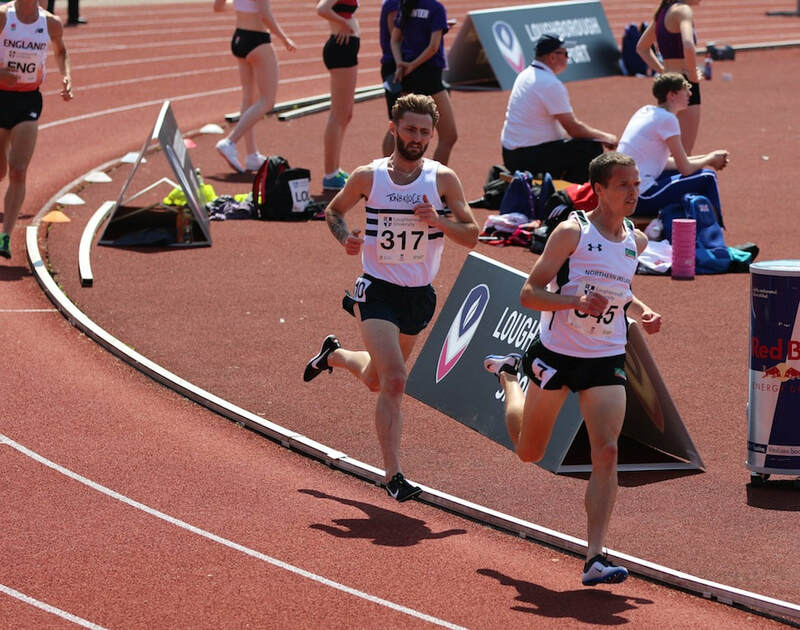 ​Ryan Driscoll finished third in the 3000 metres steeplechase at the Loughborough International meeting, being just over a second away from the winner, Adam Kirk-Smith, who was eighth in the recent Commonwealth Games final. Ryan's time lowered the club record that he set last year to 8.49.71. 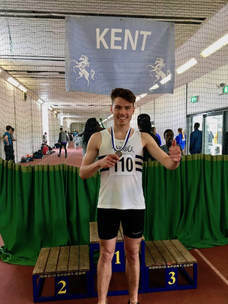 James Puxty was selected for the Great Britain under 20 men’s team to compete in the 3000 metres, but had a disappointing day to finish 14thin 8.39.15. ​There are plenty of photos on Mark Hookway's Facebook page. Full results are on the Results 2018 page. TAC placed 3rd of the 4 clubs. 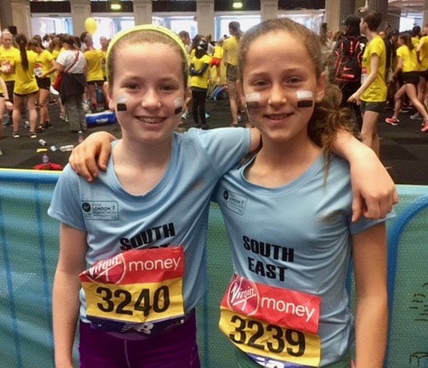 The likes of Alice Wood and Charlotte Cohen posted their first marks at 1500m and 800m for a few seasons ! 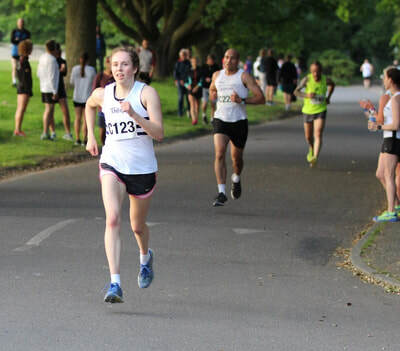 Four TAC distance runners took part in the nine race festival of 10k track racing. The Highgate Harriers Night of the 10,000 metres personal bests may have a long title, but the six year old event has become a premier meeting for distance runners and this year featured the British trials for the European Championships and also the European Team Cup, that attracted top runners from across the Continent. 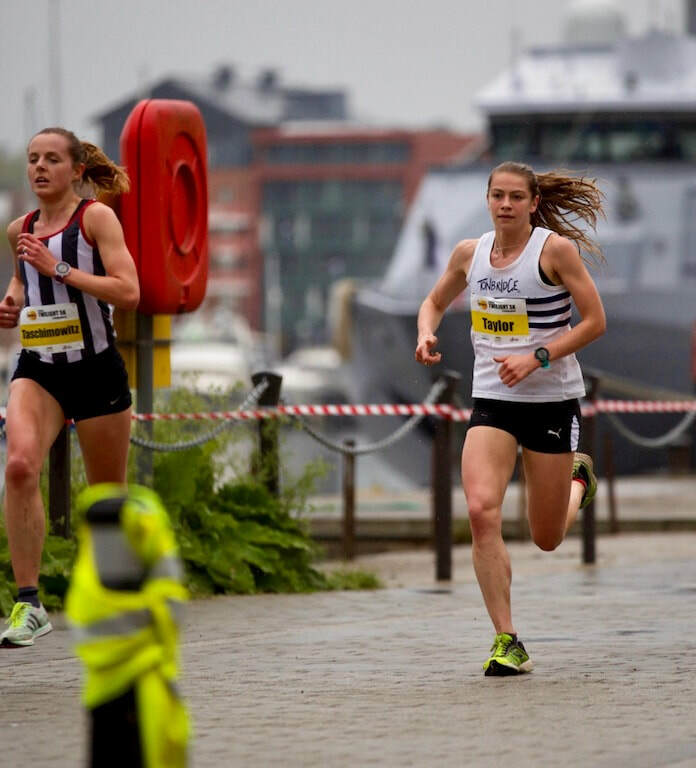 Nicole Taylor and Lucy Reid were competing in the women’s B-race, where they finished 10thand 11thwith times of 33.53.34 and 33.58.73, respectively. Both their times were huge personal bests, with Nicole setting a Tonbridge club record. Then in the next race, Ashley Gibson ran 34.08.53, to finish 31stin the women’s A race, in what was her track debut at the distance. Full results are on the Results 2018 page. TAC finished 3rd of the 6 teams. 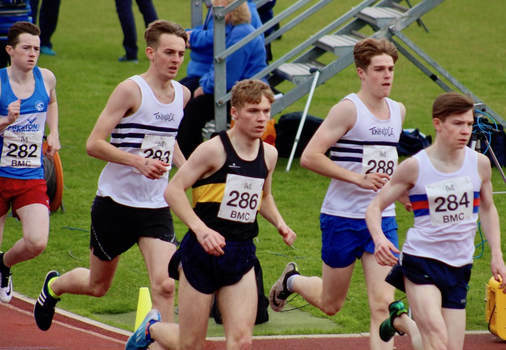 There were plenty of pbs from the distance runners, so its worth looking at the summary on the Results 2018 page. Incredible as it may seem TAC had three runners representing Kent in these fell running championships, with Max Nicholls finishing 2nd, Luke Fisher 26th and Greg Cole 54th. The team took sixth place. 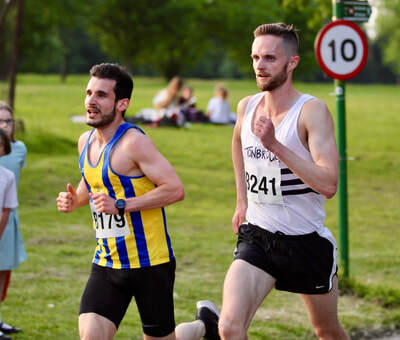 Chris Olley ran 14.45 for the Fulham parkrun, which is two seconds away from Charlie Joslin-Allen's TAC record of 14.43, set at Cardiff on 24th March. We have 18 runners so far signed up to compete in these relays. I am collating potential reserves now as the entry limit has been reached. It was a chilly and windy evening at Watford and just two TAC runners in action over 800m. Cameron Payas ran 1.59.73 and Sam Avis 2.15.68. James Puxty has been selected to race 3000m for the GB under 20 team at this weekend’s Loughborough International meeting. This follows his recent 8.16 clocking at the event. Several other TAC distance runners are due to race at the meeting and I will post their race start times on this page later in the week. It looks like there was another terrific performance by the vets teams at Ashford with wins for the men and women. ​Provisional results are on the Results 2018 page. Full results are now on the Results 2018 page. Simon Coppard bounced back from a disappointing race at Manchester, on Saturday evening, to win the u20 800m. Noémie Thomson finished 2nd in the under 17 1500m steeplechase in 5.20.52, setting a club age group record on her debut. Fin Croll (u15, 800m) and Kieran Eland (senior, 1500m) both won silver medals. 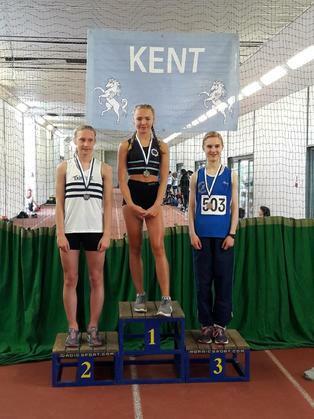 ​Katie Goodge lowered her pb to 4.47.01 to take bronze in the u17, 1500m, whilst Charlie Crick was 3rd in the under 20 mens 800m and Toby Emm 3rd in the under1 7 race. There were plenty of big improvers and a summary can be found on the Results 2018 page. Videos of most of the races from Sunday are loaded. Pac 12 Conference Championships - James West won his 1500m heat on Saturday in 3.47.16 to progress to Sunday's final. Corey De'Ath finished 12th in this high class 5k road race in 14.59. Simon Coppard (800, 1.54.12) Dom Brown (1500m, did not finish) and Ally Kinloch (5000m 15.13.53) were all out of sorts. 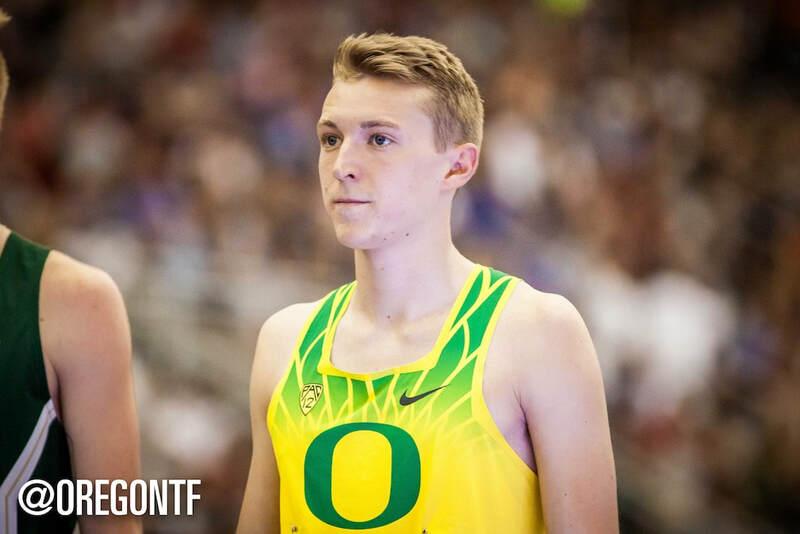 James West ran the fastest 800m by a TAC athlete so far in 2018 when he finished second at the Oregon Twighlight Meet in 1.49.67. I have created an album of photos on my Facebook page at Mark Hookway. Ben Murphy - Heat (Saturday) 3rd 1.54.63 qualified as a fastest loser, Semi Final (Sunday) 5th 1.53.74 eliminated. Full provisional results are on the Results 2018 page. Maria Heslop finished as 9th female overall in 36.28, reducing her own TAC vets record.Tina Oldershaw ran 39.29 in 22nd. Both Maria and Tina were representing England veterans. TAC finished second of the five teams, in this division 4 match, which was the first time that the club has ever competed in the league. ​Full results can be found on the Results 2018 page. The heavy rain from earlier in the day cleared, but it was still a breezy and chilly evening at Watford. There were five TAC distance runners in actin and all had excellent races. Simon Coppard (u20) finished third in the British Milers Club 800 metres A race in 1.52.94, only 0.6s behind the winner. Bede Pitcairn-Knowles (u20) was the next up and finished second in race 12 of the 1500s in 4.06.18. This sliced 5.5 seconds from his pb. 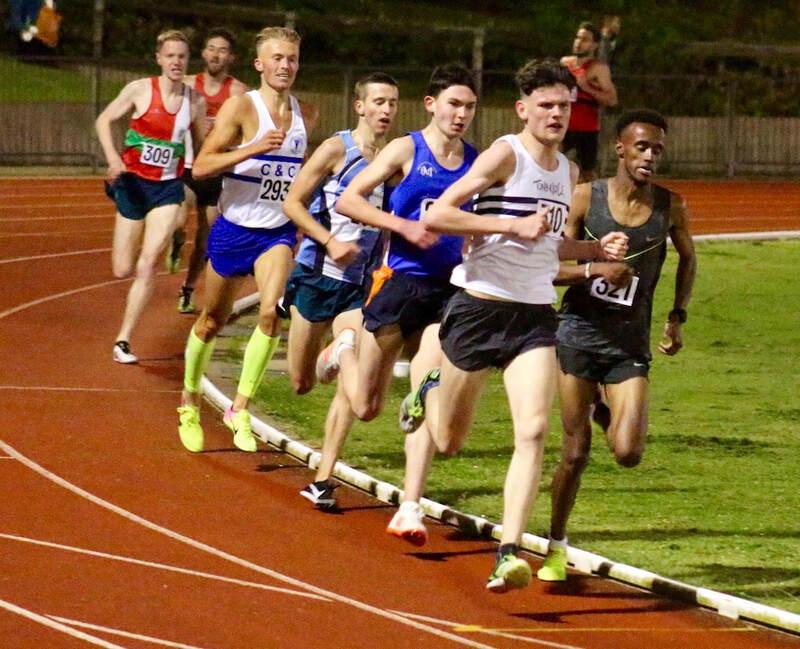 Graeme Saker (m55) paced his niece around a 3000m in 10.16.49, before the last race of the night with both James Puxty (u20) and Dan Schofield (u20) racing over 3000m. James produced a superb run to win in 8.16.24, which was a personal best by 14 seconds, with Dan recording a 12 second pb with 9.01.79. The full track results are on the Results 2018 page. Greg Cole won this 10k road race in 35.17. 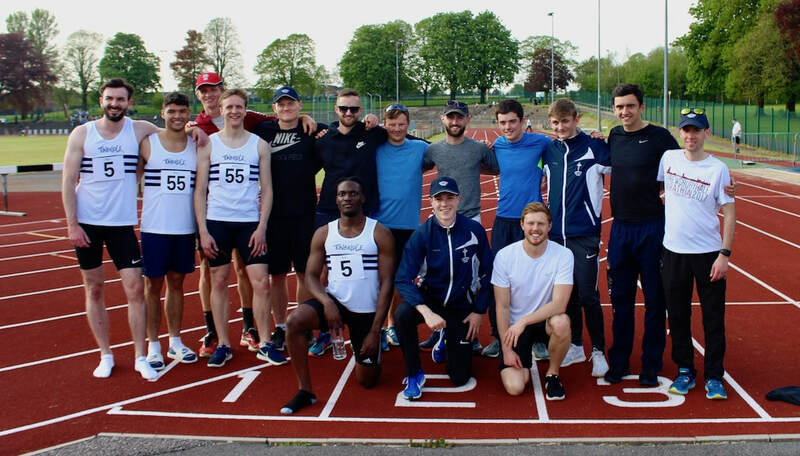 Loughborough Open Meeting and British Universities and Colleges (BUCS) 10,000m Championships, at Loughborough University, Saturday 28th April - Videos loaded ! ​TAC athletes in 800m, 1500, 3000m and mens 10,000m. Corey De'Ath had a good run to finish 6th in the BUCS 10,000m, his first race after a few months out with injury. Kieran Eland (800m), Jamie Goodge (3000m), Ally Kinloch & Kieran Reilly (1500m) were all in action. 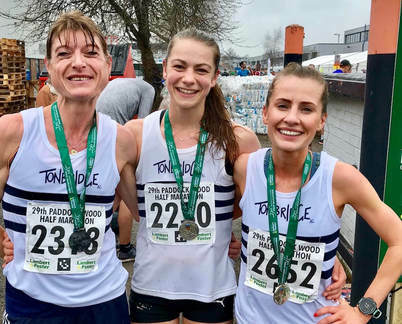 TAC had a few teams in action at the National Championships, with the highlight being the silver medals from the women's over 45 team of Tina Oldershaw, Lucy Pitcairn-Knowles and Maria Heslop . Every Summer I try and highlight some of the TAC distance runners who have improved their personal bests in the past few days. I use www.thepowerof10.info for the research. However, not all results eg school, TAC development meetings etc will go onto Power of 10, so please excuse me if my research is a little flawed on occasions. The last week in marathon running, with the Commonwealth Games and Boston, has been dominated by the weather and London was no exception in the end. 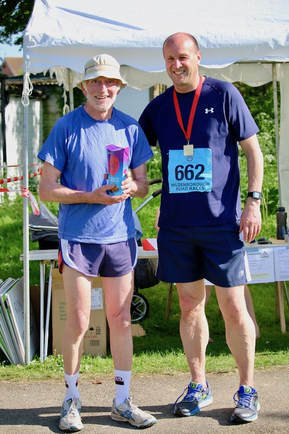 It was warmer on the ground than forecasters had even indicated perhaps and there were few runners not affected by it. It can be a cruel event, as so much preparation goes into it, over many weeks, just for that one day. There were a few bright spots amongst a mass of supreme battles. TAC had a significant group of runners taking part and all should be applauded for not only running today, but their training leading up to it. Here is what they did. Ben Cole 2.32.19 placed 43rd in the 'non elite' race. 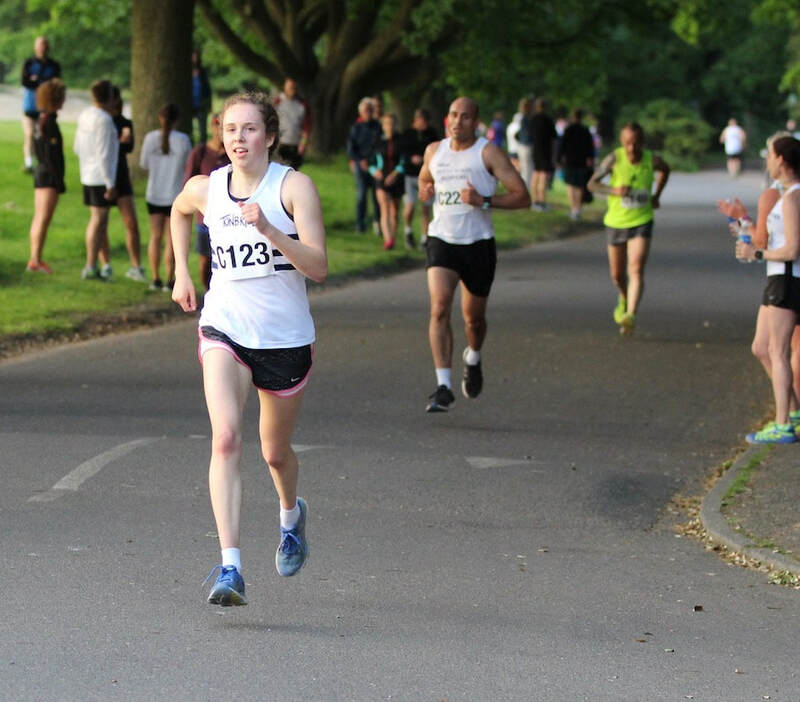 Maria Heslop 2.56.56 - pb by 1 second, TAC club record (1st ever sub 3 women's) and 1st in the over 50 age category race. Full results are on the Results 2018 page. More to follow. James West 3.37.41 for 1500 metres ! James West ran a new personal best for 1500 metres of 3.37.41 in California, on Friday evening. It moves him to fourth on the UK 2018 rankings and into the top 50 all time. 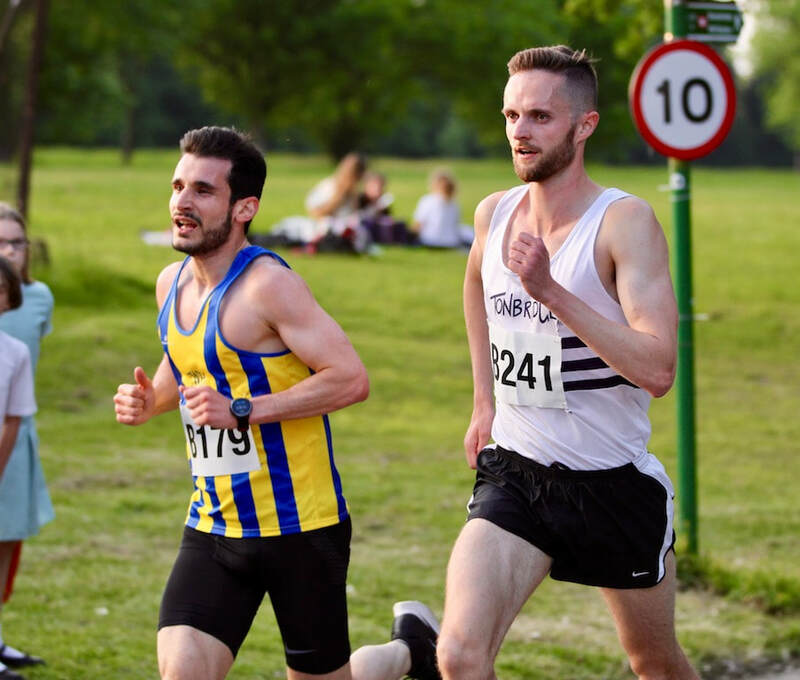 The second Watford Open Meeting of the season took place on Wednesday night and was the first this year to feature TAC distance runners. 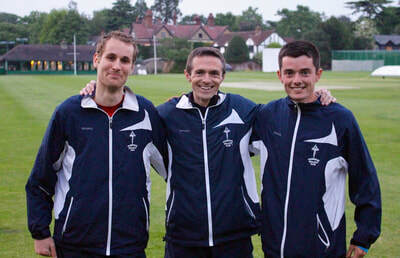 All four produced good 800m races, with one pb and the other three not far away from their personal bests. This year at Watford entries to the open meetings are via online and in advance only. There are limits on numbers, so if you wish to race there you have to plan ahead. 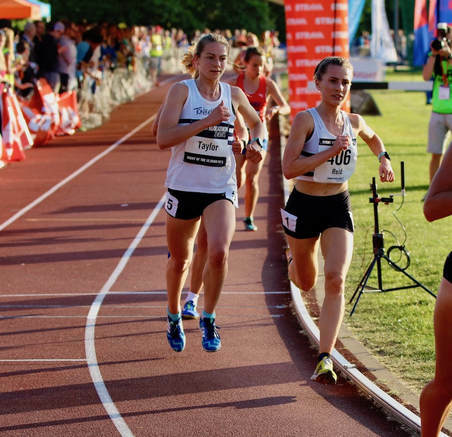 Last nights 800m races reached the entry limit a few days before, whilst it seems that the meetings will retain their status as being the best opens, with 25 x 800m races at this one. For the first time ever TAC not only got amongst the medals, but won the men's championship, with an excellent performance. The team all performed very solidly, with no disasters, which across twelve runners is key. 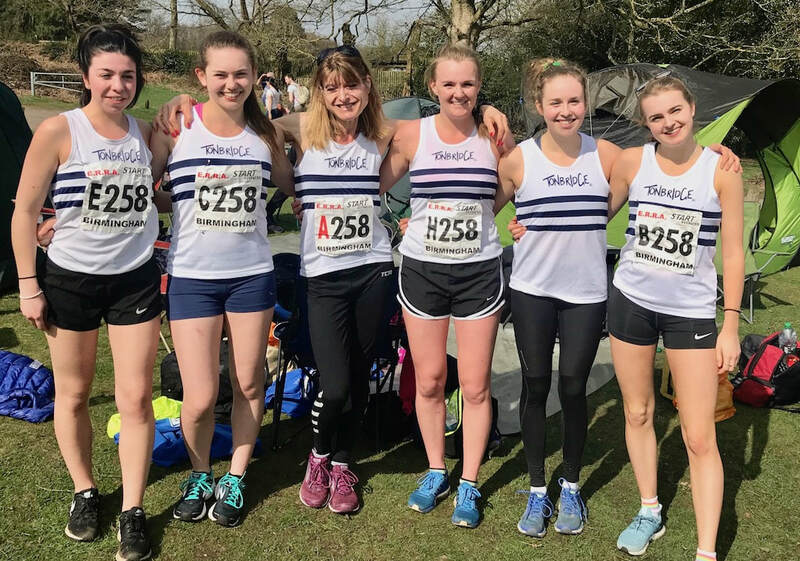 The women, despite missing some key athletes, finished an excellent 22nd in their race, whilst Katie Goodge won the under 15 girls 5km race. More details to follow but full results for the mens and women's championships are on the Results 2018 page. TAC won the match and full provisional results are on the Results 2018 page. TAC ladies - 1st Tina Oldershaw, 2nd Polly Pitcairn-Knowles, 5th Lucy Thompson. There were a mass of fast times at Paddock Wood, in which I imagine were good conditions with light rain, but mild. All three ran personal bests. Lucy's time is the second fastest ever TAC time behind Miranda Heathcote's club record of 76.00 and I should imagine Nicole's time is the third fastest ever. Julian Rendall was the first TAC male home in 20th with 72.13, which takes over a minute from his own TAC over 40 record. James West finished second over 1500m in his first race at the famous Hayward Field, Oregon. He ran 3.48.92 in extremely wet and windy conditions. Judd School finished 7th of 26 teams on a course that looped around the grounds surrounding the Eiffel Tower in Paris. ​41st Isaac Harding, 43rd Dan Schofield, 46th Adam Van der Plas, 48th Toby Emm and 52nd Will Beeston. Well done to the large number of officials, volunteers , athletes and supporters who braved the wet and windy conditions. There were still many encouraging performances, despite the weather. Full track results are on the Results 2018 page. More details to follow, plus videos of the 600 metre and 1500 metre races. It was rare chance to go and watch the Tonbridge parkrun, which was very wet under foot. Jamie Goodge and Sophie Slack were the first male and female home. 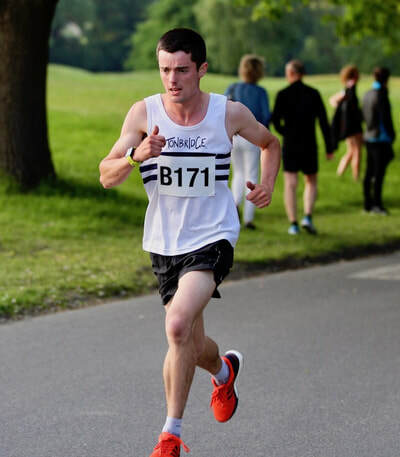 There were two breakthrough performances, at the Stanford Invite, by Tonbridge AC athletes. Alex Howard finished 4th in Section 3 of the 3000m steeplechase in 8.56.78. This was a personal best by 9 seconds and Alex becomes the sixth TAC runner ever to break 9 minutes. Ryan Driscoll holds the record at 8.50.87 and is followed by Stuart Kirk, Dave Robertson and Andy Sharp, with Sam Bradley also sub 9. James West moved to number 3 on the Tonbridge AC list with a 5000m in 13.52.29. James finished 3rd in Section 2 of the 5000m races. This was a nine second pb for James and his first sub 14 clocking. I believe only Mark Scrutton's club record and Allen Graffin at 13.40 (before his move to Belgrave Harriers) have run faster. 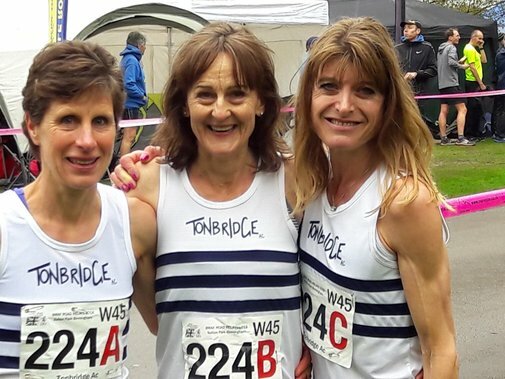 Maria Heslop set a Tonbridge AC women's over 50 age group record of 60.22. I could also be an outright veterans record. The time is also the third best on the UK all time ranking list. Dan Bradley was 11th in 56.28 and Tina Oldershaw ran 64.15. Trackside Podcast, Episode 29 is live ! 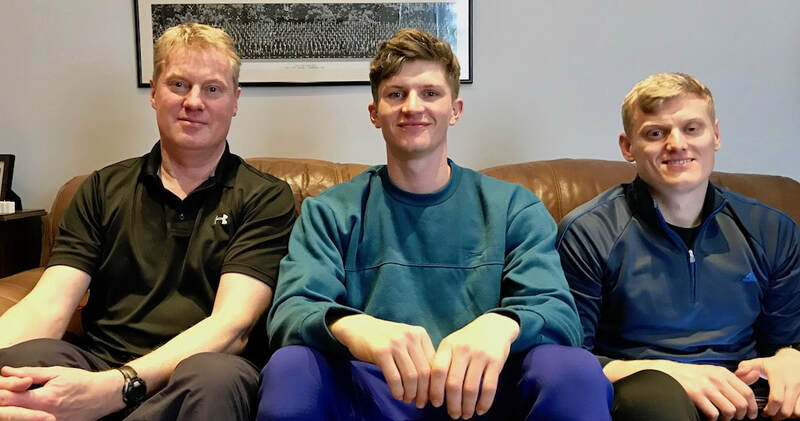 Trackside Podcast episodes have been difficult to produce in recent weeks, but finally three of us have got together to record one. On this edition of Trackside, we discuss the IAAF changes to the fixture calendar, the upcoming Commonwealth Games and we ask, what is the critical age for athlete development? We also discuss some top performances and play another round of 'Mystery Athlete'.